So, I will give you 2 lists. One list will be what I believe are the musts when making amazing roast potatoes. 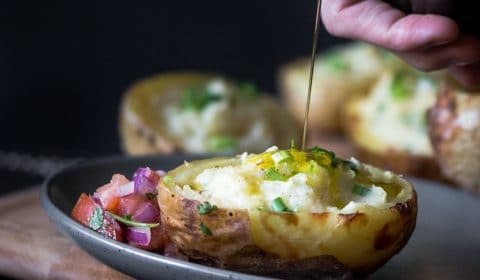 The other list won’t be absolute musts, but will just involve some extra methods to help improve your roasted potatoes. At the end of the day, simply coating the potatoes in oil, putting them on a tray and then roasting them in a hot oven can leave you with a great result. This post is about showing you what to avoid and also ways to take your roasted potatoes that little bit further. And yes this does mean that you don’t have to follow every step in the recipe. However, I think it’s important that you at least read the musts list in this post. 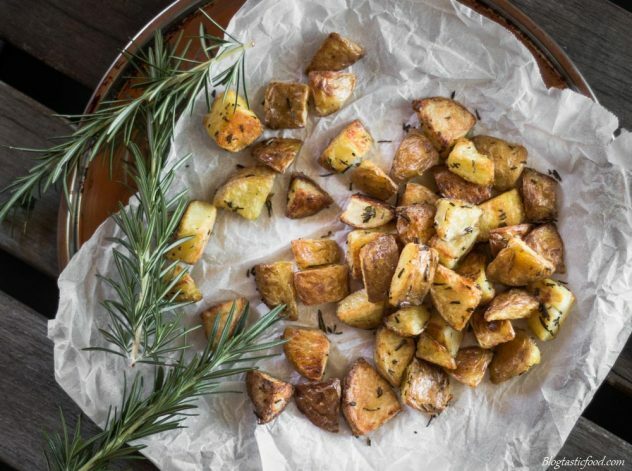 In order to make great roasted potatoes, you must, of course, cook them, and you must create a dry outer layer of skin. That outer layer is what will brown, and crisp up in the oven. I highly recommend that you focus on this rather than trying to make your potatoes look nice and neat. Who cares if they aren’t cut into nice little shapes, if they are crispy on the outside and soft on the inside, you’ve done your job! 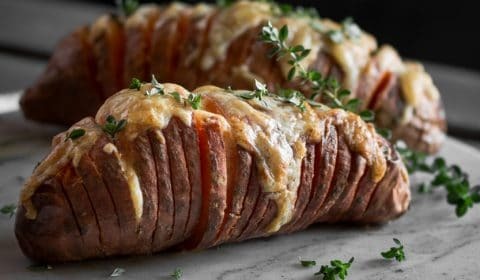 Giving them space – If you try roasting potatoes when they are all bundled up on top of one another, you won’t get an even amount of airflow on each potato. And you’ll find that half of your potatoes will be steamed rather than roasted. So make sure each dice of potato has its own individual space on the tray before putting them in the oven. Hot oven – Pretty straightforward, that brown, crispy layer on the outside is created by high heat. Roasted potatoes are by no means a low and slow recipe. Pre-heating the oven to 200 degrees C (400 degrees F) is usually a good solid temperature to stick to in my experience. Light oil – I suppose this isn’t a must but it’s definitely highly recommended. I’ve said it a number of times but extra virgin olive is never a good ingredient for dishes like this. Regular olive oil is ok but in my opinion, you’re much better off using light oils. Oils like vegetable oil, grapeseed oil, canola oil, sunflower oil and rice bran oil are very versatile, they don’t burn easily and they don’t have that strong interfering flavour. Don’t drench your potatoes – We aren’t deep frying, we’re roasting. So if your potatoes are swimming in oil as you put them in the oven, you may get a soggy and greasy result. And that won’t make the guests very happy now will it. Just add enough oil to lightly coat the potatoes, you won’t need any more than that. 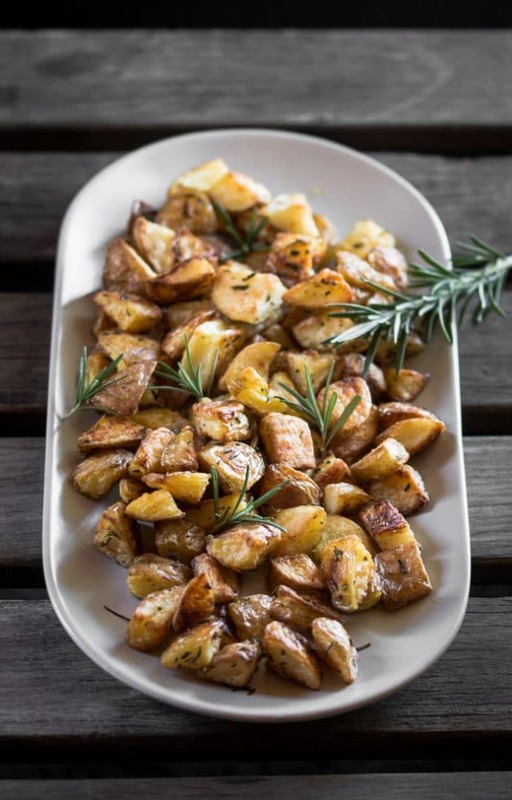 Serve them as soon as they’re done – This is crucial, roasted potatoes are one of those dishes that loses it’s quality the longer you leave them. So, unfortunately, it’s not the kind of thing you want to make in advance. Now you can cut them, season them, oil them up etc. and do all your prep for them earlier on before they go in the oven, but try to put them in the oven at a time where you know you’ll be ready to serve once they are done. Note: you don’t have to do these steps, but they can help improve the quality of your roasted potatoes. Par-boiling the potatoes – Parboiling (partially boiling) your potatoes gives them a kick-start and fluffing up them up after boiling them can leave you with a crispier result at the end. Also, par-boiling leaves you with a dryer potato. I know, ironic isn’t it? Somehow boiling the potato in water makes it dryer, but once you drain the potatoes, that’s when all the steam escapes. And the less moisture the potato has in it, the easier it will be to roast. 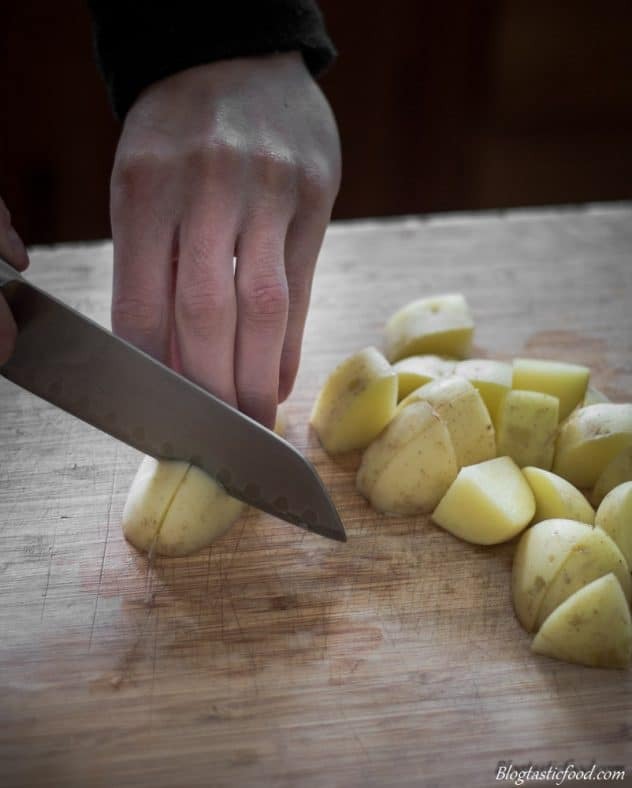 Cutting the potatoes – You probably see most roasted potatoes cut into thick, large pieces, which is fine. However, I prefer to cut my potatoes a little smaller. The smaller they are, the quicker they take to brown. When the potatoes are big, there is more surface area to roast. So if you want to avoid the frustration of being 99% ready to serve but you can’t yet because the stupid potatoes just won’t roast. Try cutting them a little bit smaller. I recommend about an inch thick. 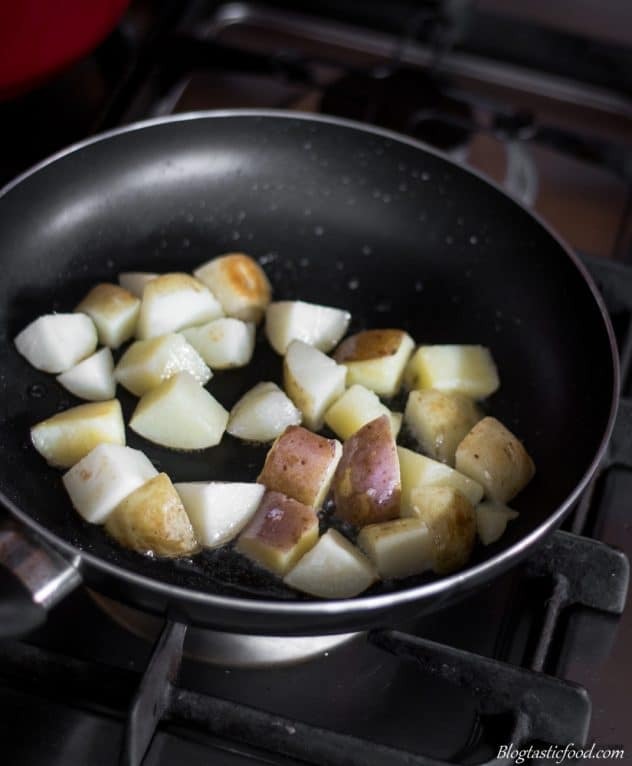 Fan frying the potatoes – One great way to kick-start the outer layer on your potatoes would be to fry them in a non-stick pan before roasting them. The goal here isn’t really to make your potatoes go super golden, but rather to give a bit of colour and again, to create that outer skin. Dabbing – And no I am not talking about that weird dance move. Since potatoes hold moisture, dabbing them with some kitchen paper to soak up some of that water content can be beneficial. However, if you are going to par-boil your potatoes before roasting them, don’t worry about dabbing them because it won’t be necessary. Leave the skin – The skin goes super crispy and crunchy, plus it holds extra flavour and fibre. So I don’t see why you’d want to get rid of it. Leaving the skin in also saves time since you won’t need to peel them. So there you have it, I hope this post helps you out. I also hope it helps you to realise that once you actually understand the process of roasting a potato, or mashing it, steaming it, or cooking any other ingredient in a certain way. You notice that “the perfect recipe” isn’t really necessary. It’s all about your understanding of how the ingredient can not only be prepared but be prepared well. So experiment, research and if you mess up, or you don’t get as good as a result as you hoped, find out why that is, then try again. 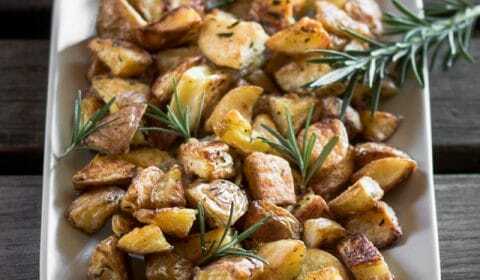 Thank you so much for the time you spent on this blog, I really hope this recipe and these tips help you to make great roasted potatoes for the upcoming Christmas or for any other occasion. If you wish to subscribe, please do so. You’ll get a free weekly recipe sent to your E-mail, and you’ll receive a free Ebook featuring 10 awesome recipes. 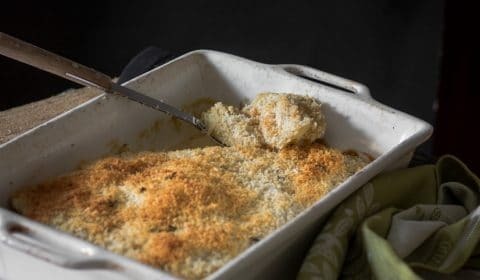 A roast potato recipe with a few added touches to achieve that crunchy outside, and soft inside. Get a pot of salted water, add your potatoes, bring the water to a boil and parboil your potatoes for about 4-5 minutes, then strain them. Pre-heat a non-stick frying pan over medium-high heat, then add about 1-2 tablespoons of oil. Add your potatoes and pan fry them for about 2 minutes, tossing them occasionally. (if you need to pan fry your potatoes in multiple batches then please do so). Once your potatoes are lightly browned and have developed an outer layer. 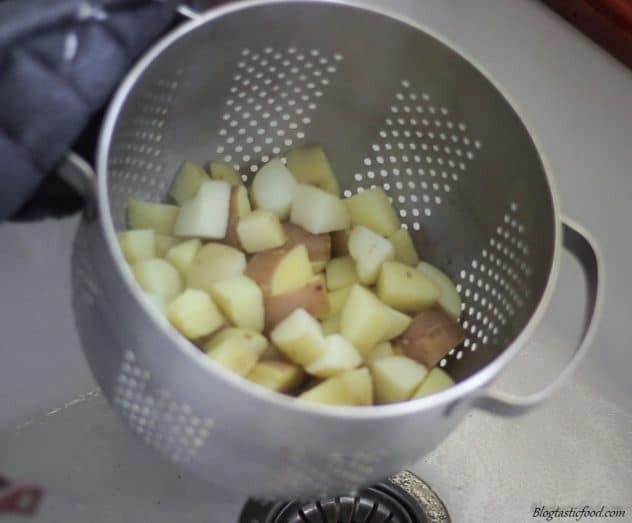 Transfer the potatoes to a large bowl. 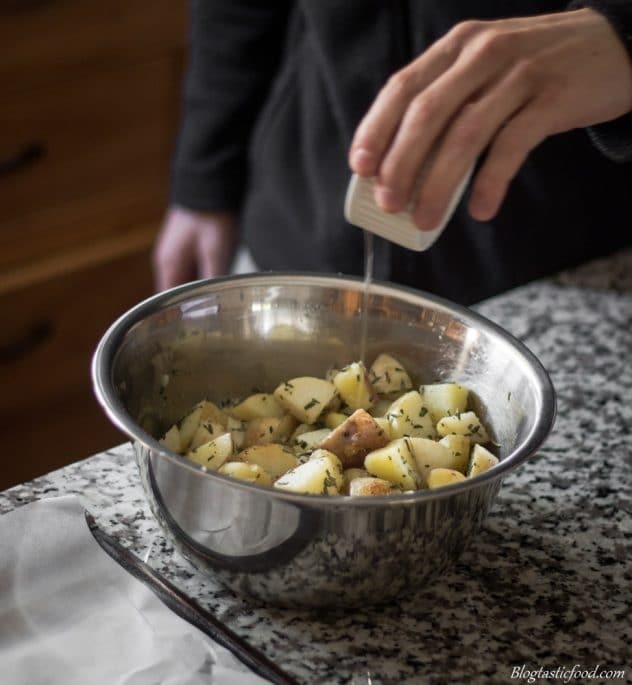 Add a pinch of salt, pepper, add your rosemary and if you feel like the potatoes could use a touch more oil, add a light drizzle. 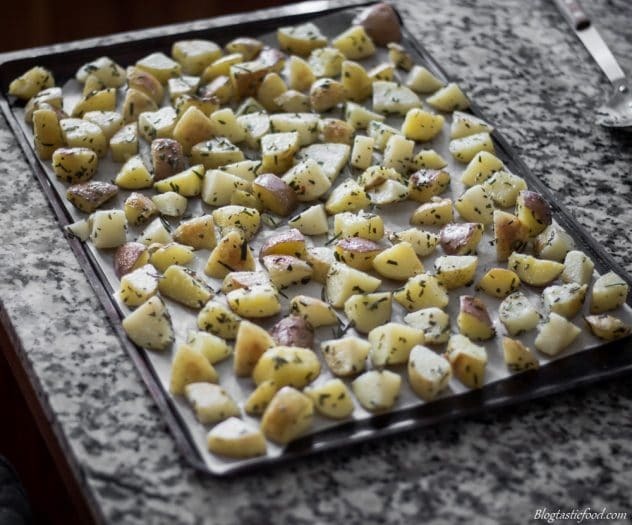 Transfer your potatoes to a large tray lined with baking paper, making sure each potato has its own individual space on the tray. Put in the oven and roast for 40-45 minutes. Serve as soon as they are done on a large platter and enjoy. Make sure your oven is hot. Use light oils such as vegetable oil, grapeseed oil, canola oil, sunflower oil or rice bran oil. Just add enough oil to lightly cover the potatoes, don't drench them. Once your potatoes have finished roasting, serve them as soon as possible. Yum! I’ve never added the pan frying step before – I must give it a go! I’m totally with you. If you want big potato chunks, parboil them or bake at a lower temperature for a while before roasting. Sometimes I’ll even put potatoes in a cold oven and then turn it on. Works for broccoli and cauliflower as well! Your potatoes look perfect! I am going to try this next time!! 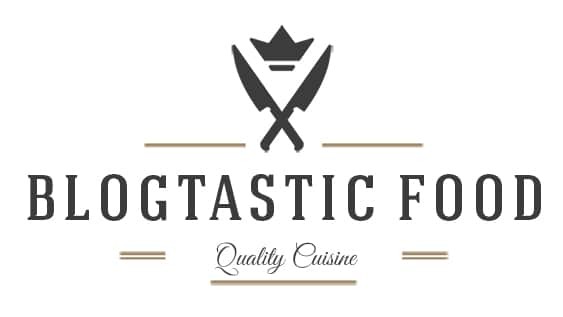 Thank Chef!!! Potatoes are life! Gotta give this a go this festive season!